From May 25-27, an independent review board chaired by Steve Jurczyk, Deputy Director at NASA’s Langley Research Center, Hampton, Va., met at NASA’s Goddard Space Flight Center in Greenbelt, Md. to conduct the review. The CDR certifies that the maturity of the LDCM design is appropriate to support proceeding with full-scale fabrication, assembly, integration, and test of the mission elements leading to observatory integration and test. “This review highlighted the collective efforts of a dedicated NASA, U.S. Geological Survey, and industry team working diligently towards the development, launch, and operation of the LDCM,” said Bill Ochs, LDCM project manager. LDCM NASA and industry personnel addressed a variety of topics, including the LDCM spacecraft and its instrument payload, system-level test plans for flight hardware and software, systems engineering, mission assurance, the ground system, and science. NASA plans to launch LDCM in December 2012 as the follow-on to Landsat-5, launched in 1984, and Landsat-7, launched in 1999. Both satellites continue to supply images and data, but they are operating beyond their design lives. As with preceding Landsat missions, the U.S. Geological Survey will operate LDCM and maintain its data archive once it reaches orbit and begins operational observations. LDCM will extend Landsat’s unparalleled record of Earth’s changing landscapes. “We provide data critical to observing dramatic ongoing changes to the global land surface and to understanding the impact of land use change on climate, food and fiber production, water resources, national security, and many other important societal issues,” said David Hair, project manager, U.S. Geological Survey, Sioux Falls, S.D. LDCM will carry evolutionary technology that will improve performance and reliability of the mission,” said Jim Irons, LDCM NASA project scientist at Goddard. 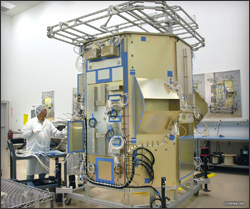 The LDCM spacecraft (provided by Orbital Sciences Corp., Gilbert, Ariz) will carry two instruments, the Operational Land Imager (OLI) and the Thermal Infrared Sensor (TIRS). OLI, now being developed by Ball Aerospace & Technologies Corp. will capture images for nine spectral bands in the shortwave portion of the spectrum (visible, near infrared, and shortwave infrared). The Goddard-built TIRS will coincidently collect data for two longwave (thermal) spectral bands. The LDCM ground system will merge the data from both sensors into a single multispectral image product. These data products will be available for free to the general public from the USGS enabling a broad scope of scientific research and land management applications. For more than 30 years, Landsat satellites have collected data of Earth’s continental surfaces to support global change research and applications. This data constitutes the longest continuous record of the Earth’s surface as seen from space. NASA’s Goddard Space Flight Center procures and manages the acquisition of the LDCM in partnership with the Department of the Interior’s U.S. Geological Survey. 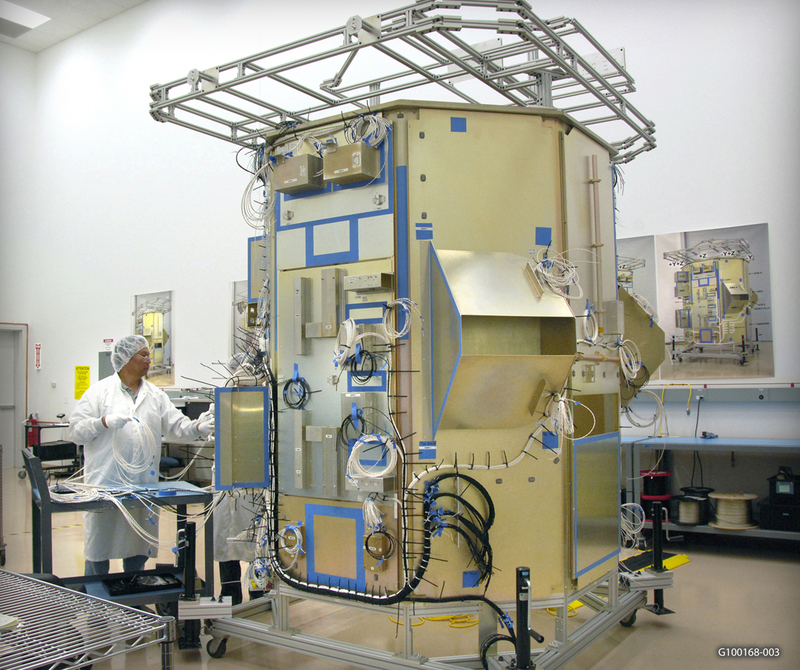 NASA will turn over management of the LDCM satellite to the USGS after launch and on-orbit checkout.